initial.IT is a Technology Solutions Provider that works with firms from all industries in the Rocky Mountain region. We maximize the IT infrastructure for the Metro-Denver area by offering premier technical and customized IT support solutions. With a successful company history built on the human side of IT and a focus on the end user/provider relationship, our company helps many top Denver firms surpass their technology goals and objectives. Key industry partnerships make initial.IT Colorado’s only complete technology solution for all software, hardware, training, consulting, and implementation needs. We empower people and their technology to achieve success. Our customized managed service plans ensure a proactive approach to maintaining your network. The result: significantly reducing the potential for downtime and vulnerability. From Office 365 Migrations, Voice IP & Wireless Services and beyond, together we work with you to assess your current and future needs to help you make informed decisions that will drive your business forward. You need answers and we're here to help. Fill out a quick simple form and an IT support team member will get back to you to discuss possible IT solutions and review your options for IT success. Unsure about your Technology needs for your business or your clients? We are here to help you navigate the complexities of Technology and to help you avoid the pitfalls of unreliable consultants and vendors. With our 3rd-party assessments and feasibility services you can ensure an on-time and on-budget project, no matter how big or small. Your success is our success. That's how our dedicated IT support professionals view their relationship with you. We're your IT Support Help Desk that asks how your day is going, while we problem-solve any networking issues—in person. We put the Human in IT. Need to access the Help Desk Services or check your account information? Our Client Portals empower you to take an active role in managing your IT support services. Just click on the smiley customer icon above. "We chose initial.IT as our IT support service post construction and they have been responsive and patient with any and all of our requests. 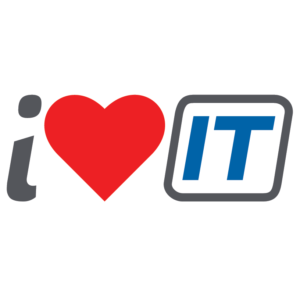 James P. does a wonderful job being available regardless of how major or minor our IT support request is."